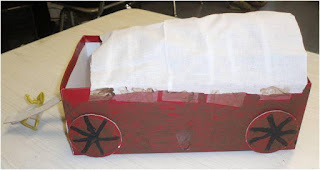 In a recent study of Colonial America, the 3rd and 4th graders in Mrs. Sandler's class not only learned how to write a research paper but they actually brought Early America to life by building a colonial town in their classroom. Students chose their own topic, depending on what was most interesting to them: the thirteen colonies, communication and transportation, public services, everyday life, culture, celebrations, and trade and commerce. First the students worked through the process of writing a research paper. After gathering all of the information on their topic, they created a set of notes. They also learned about plagiarism, citations, and structure. Along the way they gained a much better understanding of how to read, comprehend and summarize material, and then put what they read into their own words. After completing their reports, they created a colonial town in the classroom to which each student contributed. Discussions abounded as they verified what was and wasn’t around, and what was possible, or how things would be done during Colonial Times. For instance, they were very aware that cars were not around, and that traveling was much harder. A family’s belongings might be loaded into a Conestoga Wagon. See picture below of a model built by a 3rd grader. Thus history became not "just" an intellectual pursuit, but a tangible one. When the Colonial Village moved into the school's entryway atrium, visitors, and especially pre-schoolers passing through, could not believe it had been built by 3rd and 4th graders, and those very same 3rd and 4th graders were proud to present their work and share all they had learned. Tu B'Shvat is a wonderful holiday for exploring our connection to the land of Israel. Thus, last week, Akiba-Schechter’s Director of Judaics Studies Rabbi Holman, our B'not Sherut and our P.E. teacher Sara Price created a program for the middle schoolers to take place during their physical education classes called Survivor: Palestine 1880 - 1948. 3) to tie it all into Tu B'Shvat, and a study role of agriculture and trees in Israel's growth. On Day One, the students learned about the kinds of people who chose to emigrate to Palestine and the challenges they faced building shelters and draining swamps. They discussed some of the decisions these pioneers made regarding where to settle. The students broke into three teams representing the early settlements of Rishon L'Tziyon, Petach Tikva, and Zichron Yaakov. The groups played team building games that represented some aspect of the discussion, including a "Swamp Draining" game using cut up PVC pipes, and a "Tent Building" game using a parachute. The groups also discussed the challenges the actual Chalutzim struggled with in deciding where to build their settlements, and what crops to plant. Pioneers get ready to hitch a tent. On Day Two they talked about developing agriculture and more permanent settlements in the land. The three groups worked on more challenging activities, such as clearing rocks from fields and using them to build barriers (using small plastic balls and cardboard boxes). The students also had to watch out for the giant malaria-infested mosquito (Mrs. Price), who infected a few unlucky students who then had to be carried off the fields. Stricken with malaria, a settler is carried away. The students also learned about "Stockade and Wall" settlements (Choma u'Migdal). During the British Mandate, the Chalutzim used a Turkish law to circumvent the British ban on building Jewish settlements by sneaking onto a portion of land and building a watchtower and fence overnight. Once the structures were in place, the British could not tear them down. 57 Moshavim and Kibbutzim in Israel were started this way. The middle schoolers built their own Choma u'Migdal from cardboard boxes and ropes. On Day Three the program wrapped up by fast forwarding to modern times and seeing what has become of these settlements. The students participated in developing city emblems to represent the past and present of their cities and performed skits about their settlements. They planted beautiful plants and seeds in planters which will beautify the school! They also learned about modern day Chalutzim, immigrants from Ethiopia, the former Soviet Union, America and Western Europe, to explore their challenges and contributions to Israeli society. 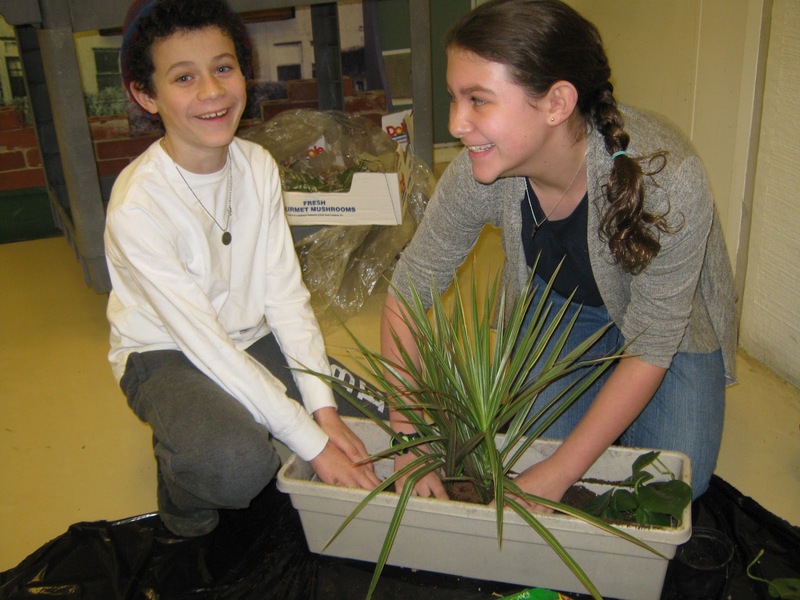 Thus another multi-faceted lesson involved the kids in learning, hands-on, about agriculture and history, all the while promoting team building skills and beautifying the school. Of course, some fun was had as well. No Snow? Create your own Winter! Except for one long gone snowstorm, we've had the most amazingly dry winter here in Chicago, which the kids of course find rather boring. 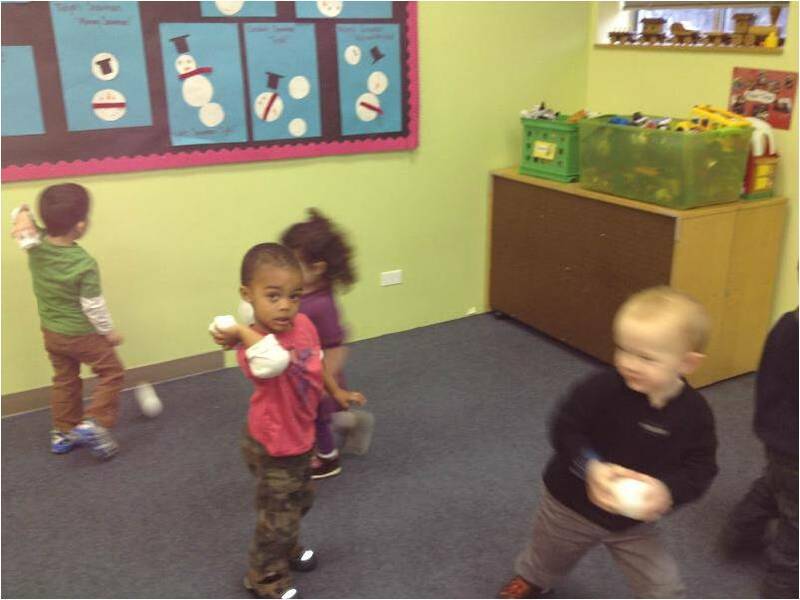 So, since there is no snow outside, the kids in our Green Room made their own snow balls and had a snow ball fight. How? 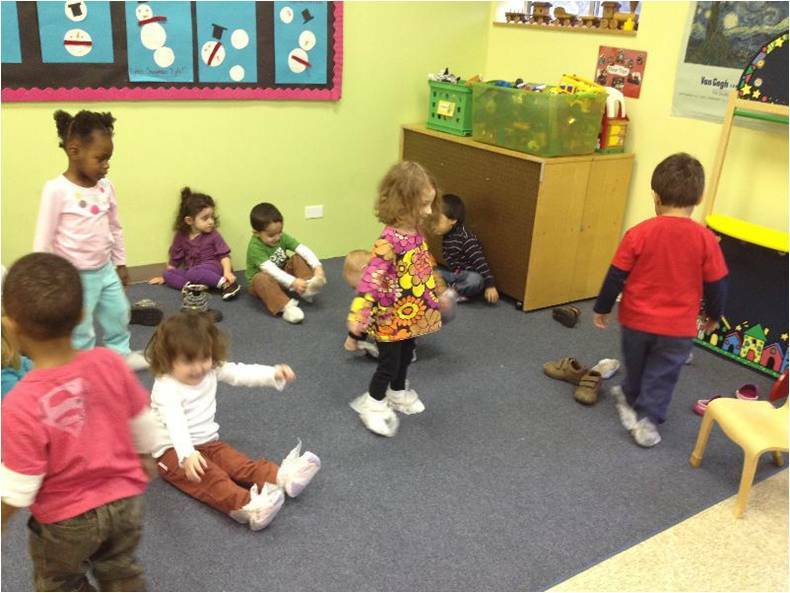 They balled up socks to make snow balls! There's also been no ice - so how to go ice skating? There's a trip to a rink, of course, but it can be simpler than that: Make "ice skates" from wax paper, tie them to your feet, and take to a rug!